A Journey Through Dickens London. 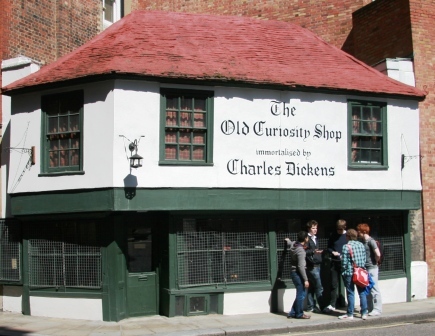 On this walk through Dickens London Richard will introduce you to a part of London that has hardly changed since the days of Charles Dickens. Starting at Chancery Lane Underground Station the tour will begin with a visit to a real throwback to Dickens London as you enter the peaceful tranquility of Gray's Inn, one of the picturesque and timeless Inns of Court. You will see the office where, in May 1827, Charles Dickens, aged 15, came to work as a clerk at the offices of Ellis and Blackmore. Here he encountered several people whose names he would later immortalise in his early works. You will also be able to decide for yourself whether Dickens was being a tad unfair when he described Grays Inn as "..one of the most depressing institutions in brick and mortar known to the children of men..."
From Grays Inn you will follow in the footsteps of Dickens as he sets out on his road to literary fame. You will visit the site of Furnival's Inn where he was living when Pickwick Papers became a tremendous success and established his reputation as the "inimitable Boz." 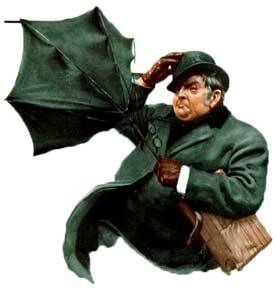 Here, Richard will treat you to some wonderfully comic quotes from the early pages of Dickens first major work. The next location on the walk is Barnard's Inn where Pip lodged with Herbert Pocket when he first arrived in London, and which Pip condemns as "...the dingiest collection of shabby buildings ever squeezed together, in a rank corner as a club for Tom-cats..."
From here your walk will wend its way through the tranquil oasis that is Staple Inn. It was here that Mr. Grewgious lived in Dickens last (and unfinished) novel The Mystery of Edwin Drood. "..it is one of those nooks, the turning into which, out of the clashing street, imparts to the relieved pedestrian the sensation of having put cotton in his ears and velvet soles on his boots..."
still holds true to this day, and you will most certainly want to return! 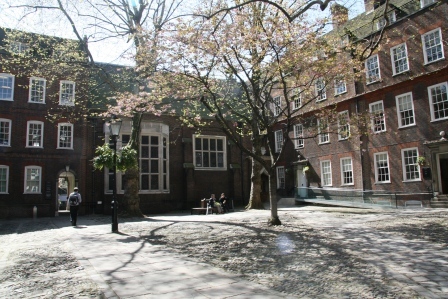 Next, by way of the gateway where the fifteen-year-old Dickens received a black eye on his first day at Ellis and Blackmore's, you will arrive amidst the cloisters of Lincoln's Inn and see the old dining hall, which dates from 1495. It was inside the hall that Dickens set the memorable opening of Bleak House by comparing the goings-on in the Court of Chancery to a London fog! The final section of the Dickens London Tour is awash with Dickensian locations. You will see the house where his greatest friend, John Forster, lived; you will stand across from the Old Curiosity Shop which, as you will hear, isn't the one that Dickens wrote about. So join Richard for a journey through the streets, squares, courtyards and passages of Dickensian London and let him spirit you back to a bygone age where quotations a plenty will help build vivid images of the places you will discover as they were in Dickens day. When planning your journey to the start of the Journey Through Dickens London tour, please allow 3 minutes for every station you will be through and then add 10 minutes to allow for any travel delays. I first led this tour in June 1982 and, I'm pleased to say, the area is still as magical and as atmospheric as it was thrirty years ago. This really is one of my favourite Dickensian routes in London as, not only do you get to see places that Dickens wrote about - and which, incidentally, you can still read his descriptions of and, literally see them through his eyes - but you also get to see buildings and places that were important to him throughout his life. Places he would still recognise were he to come back to the area today. People still gasp when I lead them into the cobbled courtyard of Staple Inn - it really is that atmospheric. The gardens of Lincoln's Inn are still glorious and I love walking through them, whilst the cloisters under which we stand, and where I recite the opening lines from Bleak House, make for one of the most dramatic backdrops against which to recite from the works of the master. I still find myself moved when I stand outside the office where the teenage Dickens worked as an office boy - and where you can just picture him as a "good looking and clever young boy', with a 'healthy pink - almost glowing' complexion - stepping over the threshold on his first day of employment. I still have to smirk when I tell my groups how the Old Curiosity Shop came to be the one that was "immortalised by Charles Dickens"
The Journey Through Dickens London tour can be booked as a private tour for your office social, tour group, or even as an outing with a difference for a group of friends or relatives.